‘The Christian religion, then, teaches men these two truths; that there is a God whom men can know, and that there is a corruption in their nature which renders them unworthy of Him. It is equally important to men to know both these points; and it is equally dangerous for man to know God without knowing his own wretchedness, and to know his own wretchedness without knowing the Redeemer who can free him from it. The knowledge of only one of these points gives rise either to the pride of philosophers, who have known God, and not their own wretchedness, or to the despair of atheists, who know their own wretchedness, but not the Redeemer. Let us herein examine the order of the world and see if all things do not tend to establish these two chief points of this religion: Jesus Christ is end of all, and the centre to which all tends. Whoever knows Him knows the reason of everything. Those who fall into error err only through failure to see one of these two things. We can, then, have an excellent knowledge of God without that of our own wretchedness and of our own wretchedness without that of God. But we cannot know Jesus Christ without knowing at the same time both God and our own wretchedness. Therefore I shall not undertake here to prove by natural reasons either the existence of God, or the Trinity, or the immortality of the soul, or anything of that nature; not only because I should not feel myself sufficiently able to find in nature arguments to convince hardened atheists, but also because such knowledge without Jesus Christ is useless and barren. Though a man should be convinced that numerical proportions are immaterial truths, eternal and dependent on a first truth, in which they subsist and which is called God, I should not think him far advanced towards his own salvation. The God of Christians is not a God who is simply the author of mathematical truths, or of the order of the elements; that is the view of heathens and Epicureans. He is not merely a God who exercises His providence over the life and fortunes of men, to bestow on those who worship Him a long and happy life. That was the portion of the Jews. But the God of Abraham, the God of Isaac, the God of Jacob, the God of Christians, is a God of love and of comfort, a God who fills the soul and heart of those whom He possesses, a God who makes them conscious of their inward wretchedness, and His infinite mercy, who unites Himself to their inmost soul, who fills it with humility and joy, with confidence and love, who renders them incapable of any other end than Himself. All who seek God without Jesus Christ, and who rest in nature, either find no light to satisfy them, or come to form for themselves a means of knowing God and serving Him without a mediator. Thereby they fall either into atheism, or into deism, two things which the Christian religion abhors almost equally. Without Jesus Christ the world would not exist; for it should needs be either that it would be destroyed or be a hell. If the world existed to instruct man of God, His divinity would shine through every part in it in an indisputable manner; but as it exists only by Jesus Christ, and for Jesus Christ, and to teach men both their corruption and their redemption, all displays the proofs of these two truths. “Let them at least learn the nature of the religion they are attacking, before they attack it. If this religion boasted of having a clear vision of God, and of possessing Him plain and unveiled, then to say that nothing we see in the world reveals Him with this degree of clarity would indeed be to attack it. But it says, on the contrary, that man is in darkness and far from God, that He has hidden Himself from man’s knowledge, and that the name He has given Himself in the Scriptures is in fact The Hidden God (Is 45:15). Therefore if it seeks to establish these two facts: that God has in the church erected visible signs by which those who sincerely seek Him may recognize Him, and that he has nevertheless so concealed them that He will only be perceived by those who seek Him with all their hearts, what advantage can the attackers gain when, while admitting that they neglect to seek for the truth, they yet cry that nothing reveals it? For the very darkness in which they lie, and for which they blame the Church, establishes one of her two claims, without invalidating the other, and also, far from destroying her doctrine, confirms it” (Blaise Pascal, Pensees, 194). 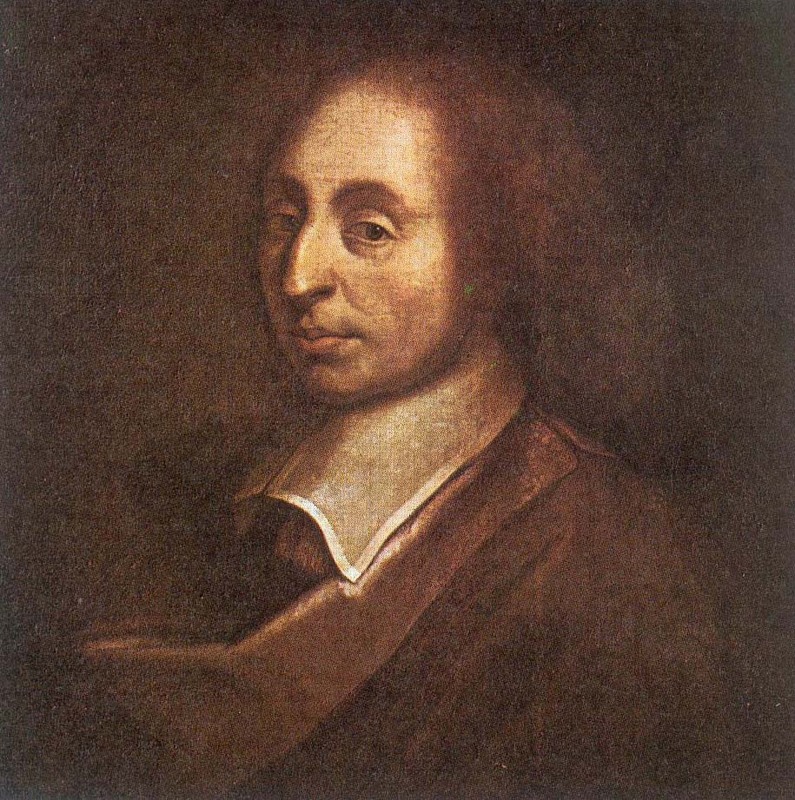 The French mathematician and philosopher Blaise Pascal is most well known for his famous wager – an argument for belief in God based on probability. However, his theological thought went far beyond simple wagers, and with his gift for brilliant prose, Pascal laid out the Burden of Seeking more clearly than any other writer in the Christian tradition has. Scripture abounds with examples of God withdrawing His presence from people, prompting the prophet Isaiah to declare that the God of Israel truly is a God who hides Himself (Isaiah 45:15); the Psalms are full of cries for God to cease hiding Himself and to make His presence known. Many of the greatest saints in the church felt abandoned by God – St. John of the Cross devoted an entire volume (‘The Dark Night of the Soul) to the time when one feels the withdrawal of God’s presence. It is often said that there is no proof of God, and that belief in God requires evidence, and that one making the claim that God exists is required to produce evidence. If one does not meet the burden of proof, then belief is not warranted. One must have proof to be convinced of the existence of God. Here is another glimmer of the genius of Pascal – the limits of proof. Belief in God depends on more than just proof, because more than just the mind must be convinced of the existence of God. Simple knowledge of God in the form of mental assent will not lead one to salvation – God desires a personal knowledge. However, as Pascal so astutely noted, Christianity does not claim to have a clear vision of God, plain and unveiled for all to see. Here he notes one of the most foundational aspects of Christian theology: that unless one pursues God wholeheartedly, God will remain hidden. One aspect of Pascal’s brilliant ‘Pensees,’ is showing the wretchedness of reason – the result of man being far from God and in darkness. It is this condition that keeps man from arriving at God via a logical syllogism – and Pascal recognized that there is also a personal and relational aspect to God that goes beyond logic and reasoning. This certainly doesn’t negate the value of logic and reason but merely shows that via logic and reason alone one cannot arrive at knowledge of God in the personal way. God is personal – therefore He must be sought after in a personal way. The burden is therefore not one of proof but of seeking. God has promised to meet those who seek Him on the road of their seeking. Pascal’s famous wager is often dismissed as being nothing more than a blind leap in the dark or an irrational gamble. I concede that it is both of those things – unless the promise of God to meet the seeker is true. If that is the case, then it becomes more than a simple pragmatic wager. It becomes a way to engage someone to seek after God. Pascal was no doubt aware of this, and I can imagine him, with a smile on his lips, stating his famous wager knowing that if one was moved to sincerely seek God by consideration of the wager, that God would indeed reveal Himself to them. Given these considerations, Pascal’s Wager is less of a flying leap in the dark than a step towards belief; epistemologically, one cannot simply will oneself to believe anything without some kind of warrant. Pascal would say that there is indeed sufficient warrant to make that first step towards belief.